Each serving contains 500mg of Turmeric with 50mg of Turmeric Extract standardized to contain 95% Curcuminoids. Turmeric Curcumin 500mg is rated 4.2 out of 5 by 14. Rated 3 out of 5 by lookclosernexttime from Disappointed Next time I'll need to look closer at the label. No bioperine in this product, so the absorption of turmeric will be less than optimal. In order to use this I will have to get the bioperine at another vitamin retailer since it wasn't available on your website. Rated 5 out of 5 by lalark from Good size for swallowing. No indigestion. We take two of these per day; one morning and one evening. Easier to swallow and easier on the tummy than the 1K capsule. Rated 4 out of 5 by Anonymous from Product good but bottle design not! Do not like Metal CAP! cannot open!!! Rated 5 out of 5 by TonyinCNY from WHO KNOWS? Tumeric/Curcurmin is an antioxidant. It's NOT something that you can see and feel working. It doesn't give you big muscles like some products. You just have to rely on the research that has been done that SAYS that this is a good product for a healthy life. Rated 3 out of 5 by Phyllis from TUMERIC CURCUMIN 500 I ALWAYS TOOK THE TUMERIC CURCUMIN 1000 MG BECAUSE IT HAD BIOPRENE (BLACK PEPPER EXTRACT) IN IT WHICH HELPS WITH ABSORBTION. I DO NOT LIKE THE 500 MG FOR THE VERY REASON THE BLACK PEPPER EXTRACT IS MISSING. THE 1000 MG ONE HAS BEEN ON BACK ORDER FOR SO LONG I AM WONDERING IF I WILL EVER GET IT AGAIN. I WROTE VITAMIN WORLD ABOUT IT BUT NO RESPONSE. 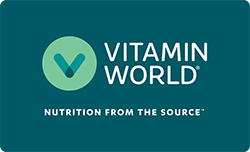 I LOVE VITAMIN WORLD PRODUCTS, BUT SURE DO WISH THEY RESPONDED TO EMAILS AND REQUESTS FOR INFORMATION. Rated 2 out of 5 by Ayami from I thought this had black pepper in the formula My mistake but black pepper increases absorption and most formulas include it. Will not buy this particular product again. I do like the fact that the capsule is made of gelatine. Turns out the price was too good to be true. Rated 5 out of 5 by Suz from Great product !!! I take this product everyday and will continue using it for healthy hands. Thank you ! !